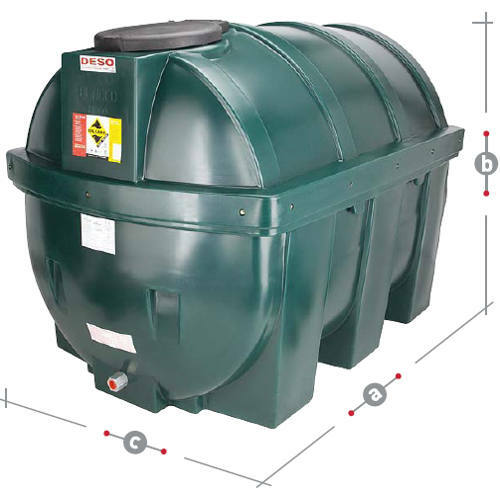 Having an oil tank is convenient, cost-effective and allows you to have more control and awareness of your fuel consumption than grid supplies. However, it is a considerable investment, and you are wholly responsible for your tank and its contents. To help you get the most from your investment (and extend its lifespan for as long as possible), it’s important to have a maintenance routine for your tank. At SG Tanks, we’re not going to let you buy any old oil storage tank and just stick it in your yard. Our professional installation will make sure you are using the right tank materials, and that you’re positioning it somewhere safe, practical and in line with environmental protection and building regulations. Our services include removal of your old tank (if needed), and any line replacement and testing that is required. On top of this, we offer a 2-year warranty on our DESO oil tanks and a 5-year warranty on our own steel tanks. If you’re keeping your tank outdoors, make sure it’s suitably protected from the elements. Trimming back overhead branches will limit the risks of falling debris in bad weather, and erecting a fence around your oil tank will prevent it from accidental bumps and knocks. It’s also a good idea to position your tank within the line of sight from your home or building premises, as a security measure (see our blog on security tips for more details). Simply keeping an eye out for signs of wear and tear on your tank, and acting on any you find, can help improve its lifespan. Some insurance policies will also require that an OFTEC-registered technician inspects the tank for defects once a year. Even if your policy does not, it’s a good idea for a professional to check for any problems you may have missed. Rather than just checking the tank itself, make sure you get the whole heating system looked at, to make sure each part is functioning properly. Condensation will eventually build up in any kind of tank, causing a layer of water to get trapped under the oil and gradually corrode your tank. Not only does this pose a threat to the integrity of your tank, but the sludge of water, rust and oil can clog up other parts of your heating system and cause damage. Check water levels annually, try and keep your tank full in summer (to reduce condensation), and pump your tank out for a thorough clean every five years or so. Following these steps will improve the lifespan of both plastic DESO tanks and steel tanks, although both materials require additional special care. If you have a specific question about the condition of your tank, call our friendly, expert team on 01903 856403 for advice or to book an inspection today.